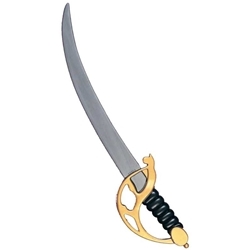 An inexpensive plastic sword that makes a great pirate prop. Perfect for Peter Pan or Pirates of Penzance. Works for any pirate or swashbuckler character! Colored as pictured.